It’s the arse end of a two day hangover and I really don’t want to go out. Certainly, I don’t want to deal with wandering around a Vegas casino trying to find the venue, dealing with security and metal detectors, and the irony of having to deal with drunks. Lesser bands would find me curled up on the sofa at home. 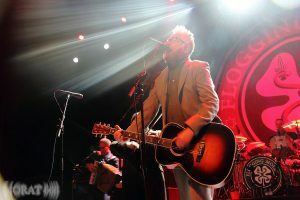 But Flogging Molly are special, not just a great band, but a band who warm the soul and lighten the load that is life. 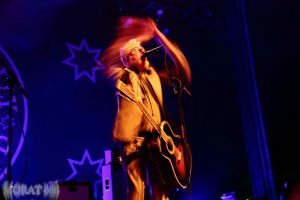 I discovered them quite by accident, many years ago when they were playing with the Supersuckers, and was immediately struck by those mournful tunes about missing a home that was no longer there, laments to what might have been. Moreover, I was struck by the passion; here was the Irish Clash, and while this wasn’t my White Riot, the fury was undeniable and understandable. In short, this is not a band to be missed. 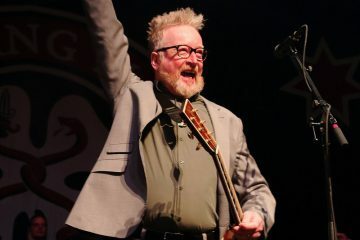 Tonight’s show is rescheduled from last month, due to the band getting stuck in a blizzard, but while they may have missed St Patrick’s Day, this is no less a celebration. 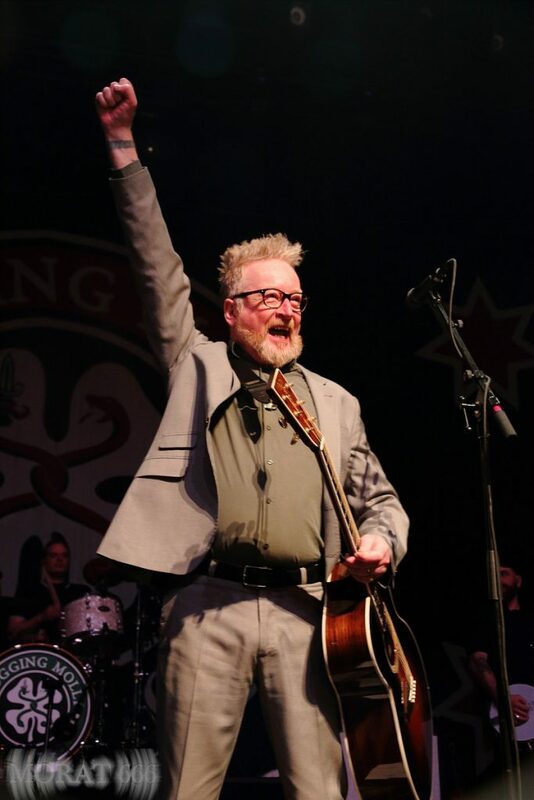 Indeed, that’s a word that comes up a lot this evening; a celebration of life and the lives of those we have lost along its path, and, of course, celebration for its own sake, frontman Dave King frequently toasting the audience, albeit with Guinness in a can and whiskey in a paper cup. 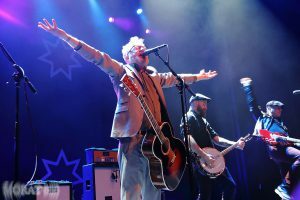 With six albums at their disposal, Flogging Molly offer a varied set that covers old and new tunes, although, strangely, nothing at all from 2011’s Speed Of Darkness record. Four from Swagger, five from Drunken Lullabies, including the inevitable title track, three from Float, four from the latest album Life Is Good… If there are notable absences, then it’s material from the brilliant Within A Mile Of Home, from which they offer only The Seven Deadly Sins. But as much as they are missed, perhaps it makes sense that they’re not included. Without wanting to get overly analytical, those were healing songs, and maybe those wounds have healed, fading scars replacing fading stars. Ironically, having not wanted to go out, the band play very few of the songs that I came to hear, but instead play what I need to hear. They encore with If I Ever Leave This World Alive and Salty Dog (the first song they ever wrote as Flogging Molly), and we shuffle out of the venue to Monty Python’s Always Look On The Bright Side Of Life. A reminder that life is indeed good.